The school provides a contemporary and modern residential complex with premium facilities thereby creating a comfortable living space for students. The school has modern medical facilities supported by qualified medical staff. Facilities for nursing of common routine ailments and accidents are available 24×7. The boarding house has an Infirmary for boys and girls to take care of the primary health care needs of the children. The resident medical staff stays on the campus to attend to the children at any hour of the day. 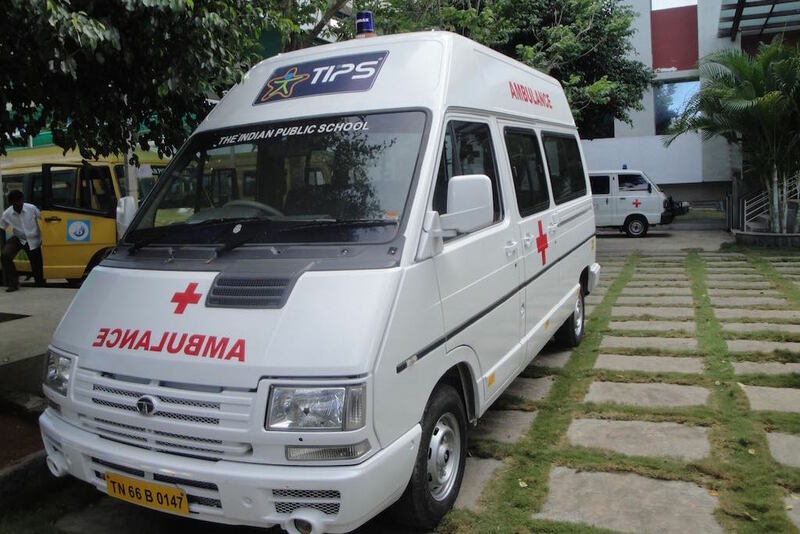 The school also has a tie-up with a renowned multi-specialty hospital in Coimbatore to ensure on time treatment. We at TIPS understand that culinary art is a true partner in our school’s sustainability mission. TIPS kitchen boasts of menus that are international in character and represent the local to global philosophy of school. Our perfect recipe combines a long-standing tradition of India with innovative dining programs. We provide both, vegetarian and non-vegetarian options from Indian and western cuisine for an enjoyable dining experience. All the students are provided with nutritious hot breakfast, wholesome Lunch and nutritious evening snacks during the day. Any special dietary requirements/ allergies to food items are to be informed to us and we would be happy to cater to your needs. Our Residential and Day schools in Coimbatore are home to some truly outstanding sports facilities, geared up to get aspiring runners, great team players and budding Ronaldo’s / Messi’s scoring goals. TIPS offers wide range of exciting opportunities to get our students active in the evening sports programs (ESP) too.